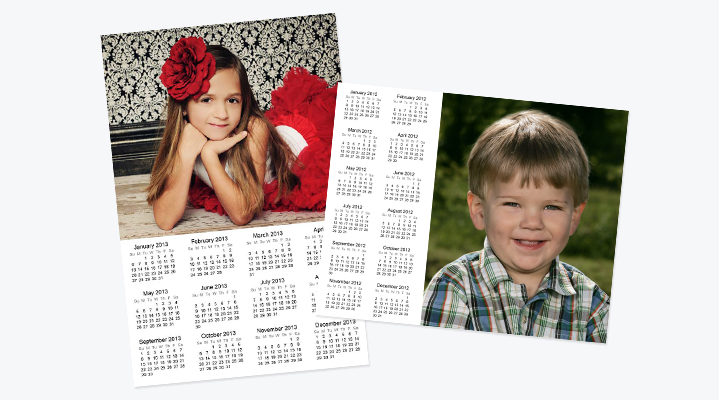 All templates in this collection are built into ROES for easy ordering. You can also download the PNG files to build borders for them in Darkroom Software’s Core, Pro, or Assembly Editions. 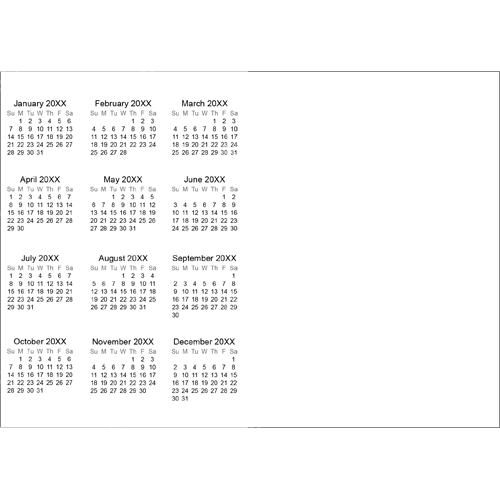 Photoreflect LE users interested in using these templates can contact Customer Service for more information. 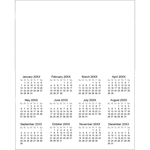 The PNGs can also be customized with your own images and text in an editing program such as Adobe Photoshop. 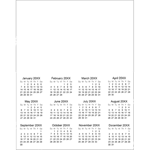 Finished files can then be ordered in any of our software programs.  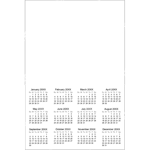  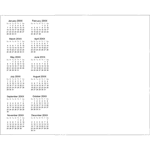    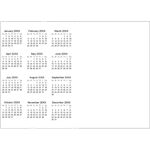 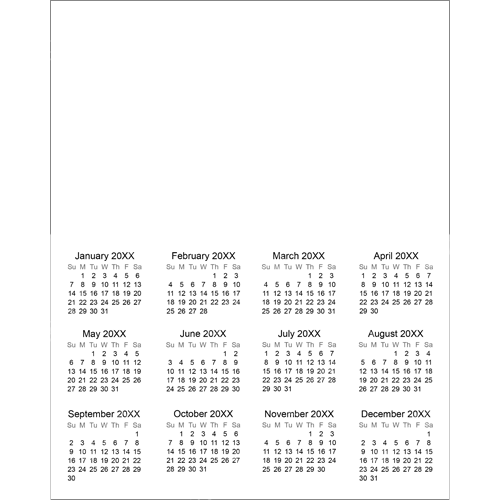 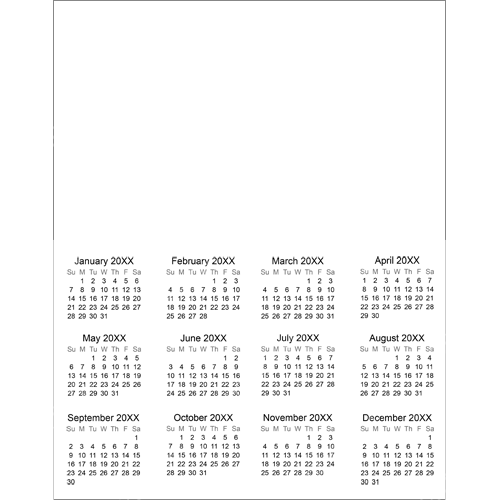 Our simple white calendar is available in several print sizes in vertical and horizontal formats.